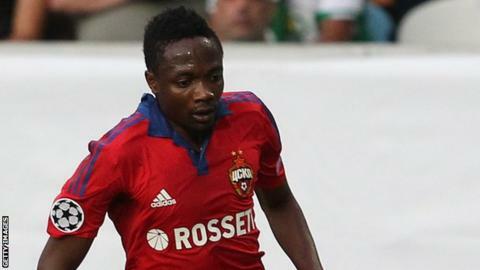 CSKA Moscow will not sell striker Ahmed Musa in this transfer window. The Russian club turned down a fourth bid from Leicester City of $26.5m (£18.7m) for the Nigerian forward last week, which was an improvement on the original offer of $21.6m (£15.1m). The 23-year-old was believed to be open to a move to the Premier League leaders. However, CSKA, who are top of the Russian league, want the forward to stay until at least the summer. Musa had also attracted the attention of other top English Premier League teams and has a $32.5m (£22.8m) buyout clause in his contract, which runs until 2019.